Thank you for reading, Hully. Thank you, Tom! The format looks better on my laptop than it does here. Oi! 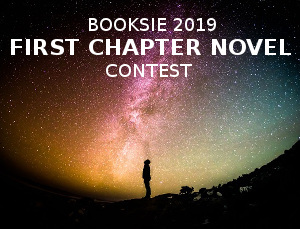 The Booksie formatting took a quick sec to figure out; it's not as good as how it looks in my word doc, but it's not a disaster on here either. It's plain to see what I was going for, so I'm happy with that. Yeah, I toyed with making the second stanza more fluid when reading it backwards, but was more concerned with the piece being fluid as a whole reading it forwards. Thank you for reading, Keke-bear. This is a fun poem! I didn't notice that the last part reads backwards until Ikeasha pointed it out. Very clever! 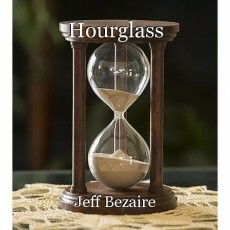 I've always wanted an hourglass, I love how they portray the movement of time in such a simple manner. Technically, both stanzas can be read backwards. They're both disjointed, but do make for an alternate and interesting viewpoint. Hourglasses are really novelty items. I have a mini one in a box somewhere. They are cool, but ultimately impractical . . . unless you're playing Boggle! lol But I never get tired of seeing pictures of hourglasses. There is something old world charming about them. There are some pretty unique ones out there nowadays too! I think this is great, Jeff. Thank you for reading, my dear!